Daniel Secomb – Bible Teacher Bringing you fresh insights from God's Word. Premillennialism, also known as ‘chiliasm’ (from the Greek χίλια ἔτη, “a thousand years,” Rev 20:2-3) is the belief of a visible reign of Christ in glory on earth with the risen saints for a thousand years, before the general resurrection and judgment. It was indeed not the doctrine of the church embodied in any creed or form of devotion, but a widely current opinion of distinguished teachers, such as Barnabas, Papias, Justin Martyr, Irenaeus, Tertullian, Methodius, and Lactantius. Notice, my children, what he says, “He finished in six days.” This means that in six thousand years the Lord will finish all things; for with him the day means a thousand years; for David witnesses to me saying, that “a thousand years in thine eyes are as yesterday which is past, and as a watch in the night.” And he himself witnesses to me, saying, “Behold, a day of the Lord shall be as a thousand years.” Therefore, my children, in six days, that is, in the six thousand years, all things will be finished. “And he rested on the seventh day.” This means, when his Son on coming shall destroy the time, and shall judge the ungodly, and shall change the sun and the stars and the moon, then he will truly rest on the seventh day. But I and others, who are right-minded Christians on all points, are assured that there will be a resurrection of the dead, and a thousand years in Jerusalem, which will then be built, adorned, and enlarged, the prophets Ezekiel and Isaiah and others declare. But when this Antichrist shall have devastated all things in this world, he will reign for three years and six months, and sit in the Temple at Jerusalem; and then the Lord will come from heaven in the clouds, in the glory of the Father, sending this man and those who follow him into the lake of fire; but bringing in for the righteous the times of the kingdom. Interestingly, Irenaeus writes that the early church father Papias (ca 70 – 155 AD) claims (in a work now lost) that there was a conversation between Jesus and the disciples where he referred to the millennium. As the story goes, Judas expressed incredulity about whether such an earthly kingdom could really come about and that Jesus replied that those who came to these times would see it. This shows that, in Irenaeus’ eyes, chiliasm is the teaching of both the Lord and his church and that nonchiliastic eschatologies are the product of Gnostic influence, even when they are held by genuinely orthodox Christians. It is highly significant that Justin, the greatest of the second-century apologists, and Irenaeus, the first great theologian of the church, that both believed that a physical, earthly kingdom of Christ after his return was the teaching of the Lord, the Scriptures, and the majority of the early church. Yet, by the time of the third century, Premillennialism drastically began to disappear as a result of Origen and Augustine’s arrival on the scene. During Origen’s time as the head of the School of Alexandria, he openly attacked chiliasm and developed the allegorical method of interpretation by which he interpreted spiritually and not literally the passages of Scripture, which announced the millennium. Origen’s major qualms about an earthly millennium are that it entails reading scripture too literally (as the Jews would read it) and that it conceives of the Christian hope too sensuously. In place of premillennialism, Origen offers a Christian hope that is almost exclusively spiritual and intellectual. Origen was writing at a time when Christianity was trying to disengage itself from its Jewish roots, and at that time, it was very common to reject any interpretation of Scripture that had Jewish precedent. By the time Augustine came on the scene in the early 5th century, he further developed the allegorical method of biblical interpretation and spiritualised all biblical passages speaking of an earthly kingdom. He, like Origen before him, viewed Premillennialism as an overly extravagant event that turned the kingdom into an occasion for the exercise of gluttony and other lusts. 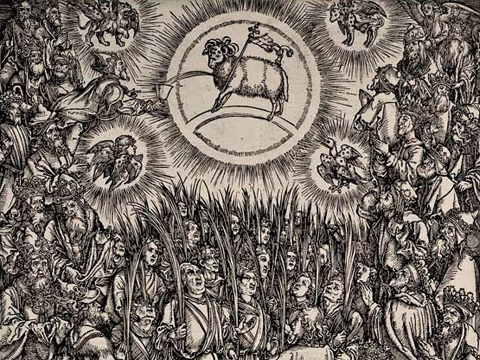 The death knell for Premillennialism in the church was complete with the widespread readership of his magnum opus, City of God in which Augustine teaches that this present age of conflict is the millennium and argues that many Christians misunderstand Revelation 20:1-6 by thinking that the first resurrection is physical and that the thousand years will be a form of Sabbath rest for God’s people. Augustine’s explanation was clearly a much more responsible attempt at a biblical eschatology than what we find in Origen, and it became the basis for Amillennialism, which would dominate the Christian church until well into the modern period. It is important to note that the spurning of Premillennialism was very much to do with early Gnostic influence and Neo-Platonist philosophies stemming from the Alexandrian School. It’s such a tragedy that the allegorical method of scriptural interpretation prevailed considering that it never existed before the middle of the second century. One wonders what could have been if the church had embraced its Hebraic roots and interpreted scripture the same way it always had done by placing the burden of interpretation on scripture itself. The plain straight-forward reading of the text was always God’s intention and is still God’s intention for us today. 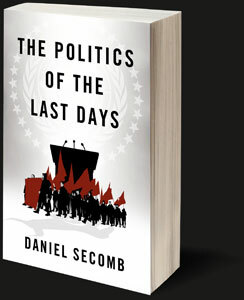 Register your interest for Daniel Secomb's long awaited new book, "The Politics of the Last Days"
Daniel's new book explores the integral role that politics will play in the end times. Philip Schaff, History of the Christian Church, Vol. 2 (Peabody, MA: Hendrickson, n.d.), pp. 545-546. Craig L. Blomberg and Sung Wook Chung (eds), A Case for Historic Premillennialism, (Grand Rapids: Baker Academic, 2009), p. 112. Irenaeus, Against Heresies: Book V, Chapter 33, Paragraph 4. Blomberg and Chung (eds), A Case for Historic Premillennialism, p. 112. Blomberg and Chung (eds), A Case for Historic Premillennialism, 117. The best way to stay in touch with the ministry of Daniel Secomb. Is Religion Really The Greatest Cause of Wars?